An enlightening primer from the bestselling author of Beating The Street. Many investors, including some with substantial portfolios, have only the sketchiest idea of how the stock market works. 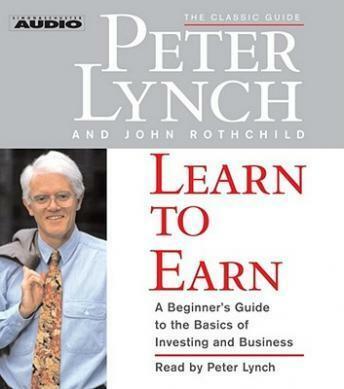 The reason, say Peter Lynch and John Rothchild, is that the basics of investing aren't taught in school. At a time when individuals have to make important decisions about saving for college, this failure to provide a basic education in investing can have tragic consequences. For those who know what to look for, investment opportunities are everywhere. The average high-school student is familiar with Nike, McDonald's, and The Gap -- but only a very few own shares in these companies or even understand how to buy them. In Learn To Earn, Lynch and Rothchild explain in a style accessible to anyone -- whether a high-school student or a student of investing -- how to read a stock table in the daily newspaper, how to understand a company annual report, and why everyone should pay attention to the stock market. They explain not only how to invest, but also how to think like an investor.